Do you ever shy away from projects or clients because you lack the expertise or it’s not something you’re familiar with? The best opportunities come from projects where you also have to learn. I’m not talking about stuff you can’t do, but rather things that you haven’t done. There’s a difference. Let’s talk about where potential opportunities may be, how to go after them, and most importantly – how to shift your thinking to be more adventurous! Let’s get rid of any kind of scarcity mentality. This past year I have taken on a number of new clients in industries I was unfamiliar with, but we have had some awesome success. What I want to share is that you can expand your offers and get more customers, even in industries you don’t have experience in, as long as you remain focused on your unique skill set or superpower. I wanted to share this idea today because I just had this conversation the other day with a potential client and their team. They asked how I could help them if I didn’t know much about their specific industry. We went through that together and now they are a client! This is very common and you can make it happen in your business, but you need to be prepared for it and know how to make it work. Let’s go! One of the major lessons I have learned as I grew my consulting business was to get way more specific about what I was offering. To really ensure that everyone knew what it was I actually did. When I started out, I was afraid that if I went too specialized, I would eliminate other opportunities for business. But the opposite is actually true. 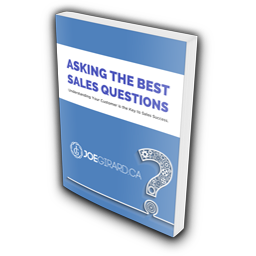 When you don’t know specifically what you do, how can you expect your customers to know what to buy? That was the challenge I found. When I was asked, “What do you do?” I would usually tell people that I did consulting. And then they would ask what kind of consulting I did, so I would let them know I did a bit of everything – including, sales, leadership, marketing, mindset, management, etc. And they would smile and say that was awesome, and it would never register for them to work with me or if they knew someone that would be interested in my services. The problem is that if you try to be all things to all people, then you end up being invisible to everyone. Now, I still consult on all of these areas, but…I start from sales. 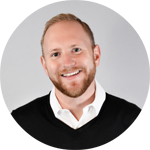 I am a sales consultant. I help people create good problems that come from getting more customers. If we can do that, then we open up some really big conversations about next steps. It creates very strong referrals. They say, “You have to meet Joe. 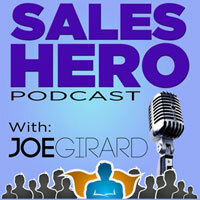 He is the sales expert.” Wow, so much easier! I think the number one thing this has done for me is to build my confidence around the very specific thing I do. I wrote about that recently in my post Overcoming Procrastination and the Impostor Syndrome. When I used to tell people I consulted in marketing (which I know quite a bit about), I felt like an impostor. It was NOT my special skill, and I was trying to let everyone know I could do everything, for fear of being left out of the conversation. Today, I realize that if you talk to a consultant that says they consult in everything, RUN! In my Change Grow Achieve Consulting business, I have now been bringing on high level consultants on my team that are highly specialized so we can solve problems together. In your business, are you focused enough on your one unique skill? Or are you a bit too broad? Ultimately, you should be in business to serve your customer. That’s why it’s important to be specialized and make a specific impact for them. But now, I want you to expand your thinking. For me, my background was in education. I spent 14+ years in the Private Post-Secondary world in sales, management, and corporate training. When I decided to build my own business, I imagined that I would need to focus on education. But what I realized pretty quickly was that the sales challenges we were faced with were quite common in all verticals. And over the last decade and more, I have been obsessively studying sales, business, and basically everything I could get my hands on. Then it becomes about seeing how your experience, education, and personal development could actually benefit others. As I began to work with more clients, I saw the systems they worked with, the struggles they needed help on, and the ways that I could serve them. Now, I get to look at all types of sales processes, people, and businesses that I would never have thought of before. You see, as long as you can actually serve the customer with your unique superpower, it’s totally okay to have to learn other things at the same time. I get to hear sales calls from every industry and often it takes some time to figure out what the heck is going on. But after some time, I get the opportunity to learn more about their business, and connect the dots. 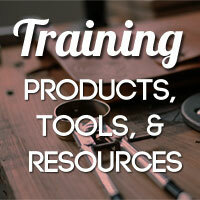 I’ve found that most businesses struggle with the same things and I have a unique skill that can help them. It is the same principle as getting a job in an unfamiliar business. Typically, they hire you for who you are and the skills you have, rather than your specific experience in their industry. And it is actually better because you don’t have a bunch of pre-conceived ideas or bad habits! That’s where the magic happens. Side note: It’s the same rule I use for teaching others how to delegate to teams. Rather than wait for someone to be able to do it to 100% of your abilities (never happens), trust that they have the skills to solve the problem and give the room to grow. I used to be nervous about selling my services to industries or business sizes I had no experience in, but I realized that wasn’t helping me OR the customers. I have a unique skill set that absolutely makes an impact and we just need to figure out how to leverage it. And the fact that I am looking at many different systems actually enhances my ability to find hidden opportunities, see around corners, and avoid potential landmines for my customers. For example, this month I did a sales key account workshop for a wonderful company who provides remote power around the world. Some of the projects and terms we discussed went right over my head. At times, there were so many acronyms, I caught myself just smiling and nodding! But, I wasn’t there to learn about the product. My job was to help them get more customers for those products. And at the same time, I ended up learning all sorts of cool stuff. You don’t need to fake that you know everything, but be honest with what you can do. Work with your customers and show them how you can help, and also be aware of when you can’t help them. Tell them this. And, if what you are looking at is too far out of your current abilities, that’s exactly why you should be building a network! That way, you can bring on people who fill your own skills gaps and work on more complex projects. That is how to best serve your customer. As long as you can actually serve the customer with your unique superpower, it is totally okay to have to learn other things at the same time. Over the years, I’ve learned about all sorts of cool products, people, and processes that now allow me to connect the dots in many different ways. Because I can see how many different ideas intersect, I’m even more equipped to solve complex problems for customers and ultimately serve them better. What about you? What is the impact you make? Can you identify where you really help your customers solve problems and pull levers? When they talk about your services, what do they say? If you don’t know, go ask them! When you only stick to what you know, you essentially end up commoditizing yourself like an employee. Your customers don’t need more employees and your skills have less value that way. They need someone who can help them see many things, especially those they have not thought of before. The big idea here is that you should be seeing things they don’t see and know something they don’t know. The more complex the challenges, the more value you bring to the table. Spend some time mapping out these complexities and how you can make their lives easier and you got yourself a winning plan! Identify the problems of your customers. What are the questions they ask? What are the things they tell you are wrong? Look at the hidden problems that they may not see. Based on your experience, what other implications are those problems causing? Think cause and effect. Brainstorm ideas that will help them. What do you know about this problem? What one major idea can you share with them that would make them go, “hmmm…”? If you can bring some insights to the conversation, you will open the doors to more conversations. Seek out customers that are in different markets that have similar business models. Look at the segment your customer is in. How are they the same as others? Create an offer and a process. Now you know who they are, decide on the service you want to provide them. What will you need to say? What emails or templates will support you? Build these things ahead of time and get ready to sell. Make a list. Now go find 10-30 potential businesses that would fit this offer. Go take action and test it. Set your mindset first that you don’t need the business. This is all about testing. Make the calls, be okay if they say no and have zero attachments to the results. Call everyone on your list, make an offer to share the big idea with them over a 30 minute conversation, and see how many people move to the next stage. Then see how many people like the offer, and eventually how many buy. If no one does, go back to the drawing board and see where you may have missed something. By following this process, you create a model that you can repeat over and over. By focusing on activities rather than results, you work on things you can control. And you will learn what works and what doesn’t. When they say yes to your offer, now you need to deliver on your promise, but still keep testing and using feedback loops to improve the offer. 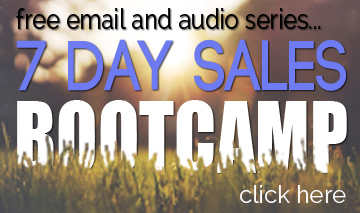 Step 8: Turn those results into testimonials and repeat the process with a stronger, proven offer! Now that you have done this a few times, leverage your results and go after these clients with even more confidence. So go do it! 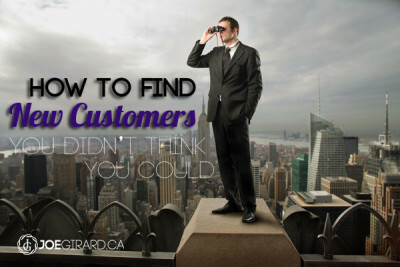 Go find some customers you had not thought of before and see what happens. I know that for me in my business, this has been such a wonderful way to grow. Both in revenue and in myself. Expanding your capabilities like this will skyrocket your success. 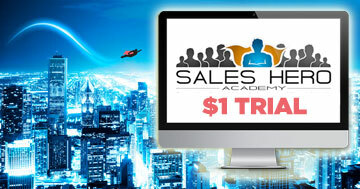 If you want to build a strategy and learn how to sell more effectively using these ideas, join the Sales Hero Academy which we recently launched. Come join me for Whiskey Friday today at 1:00pm PST! 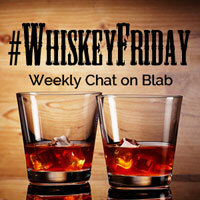 Or visit my Whiskey Friday page for more recordings and upcoming chats. Remember to like and share this post. Comment below about your own business and how you would serve customers with your skills. You never know who is reading it!